Research supported in part by the MIUR project AMANDA “Algorithmics for MAssive and Networked DAta”, prot. 2012C4E3KT_001. This work started at the Bertinoro Workshop on Graph Drawing 2014. 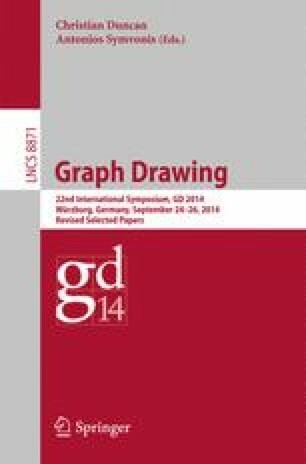 We thank Michael Kaufmann and Torsten Ueckerdt for suggesting the study of fan-planar graphs during the workshop. We also thank all the participants of the workshop for the useful discussions on this topic.